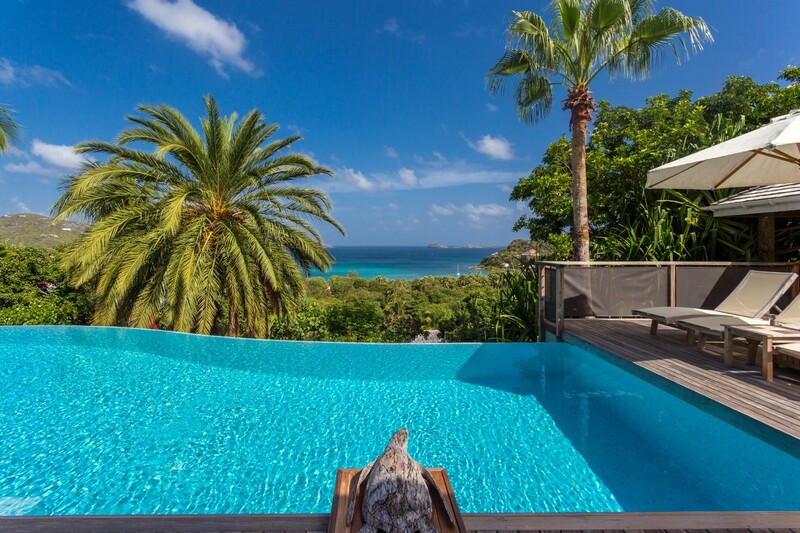 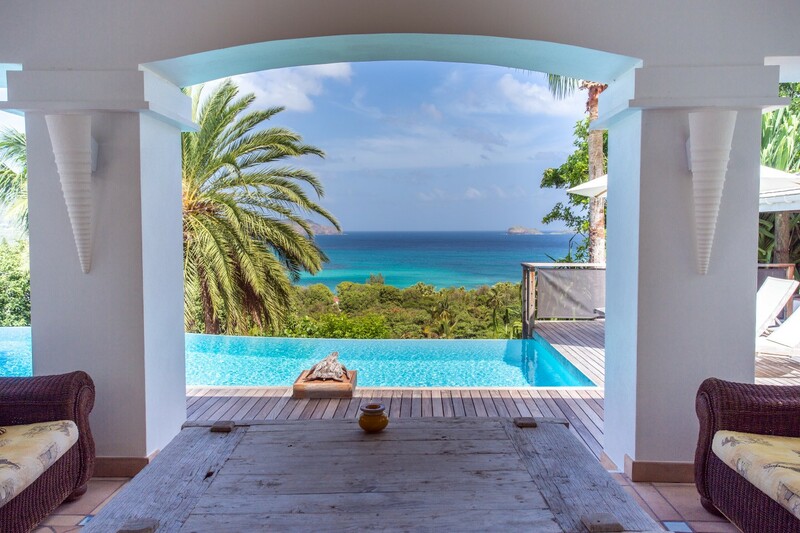 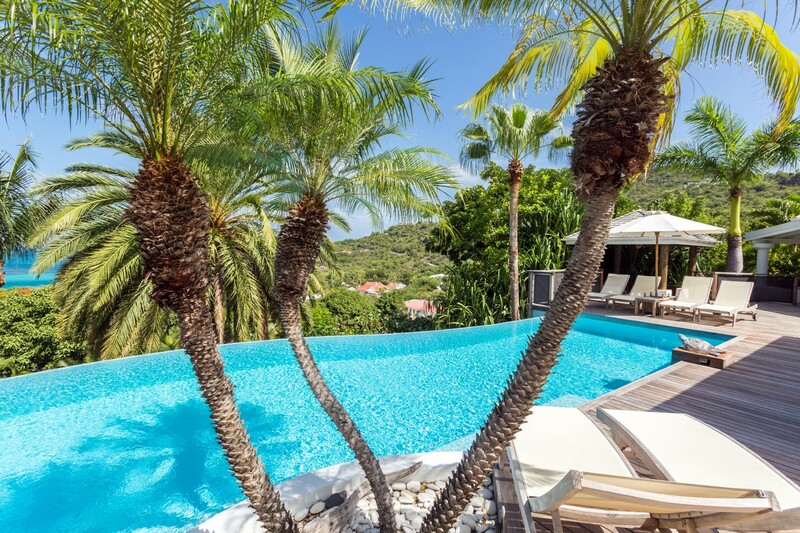 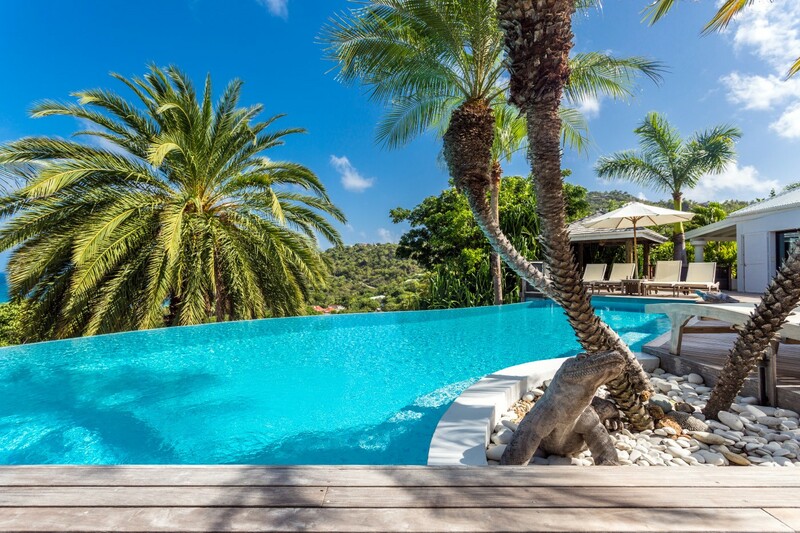 Villa La Desirade St. Barts. 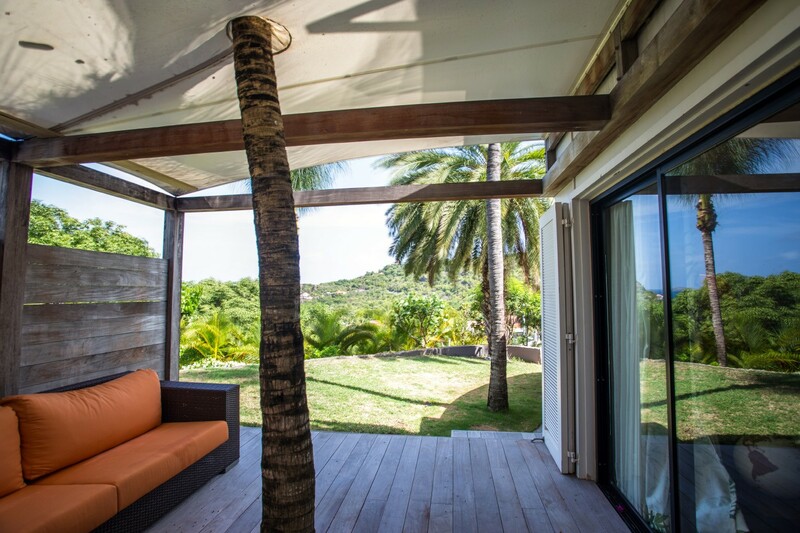 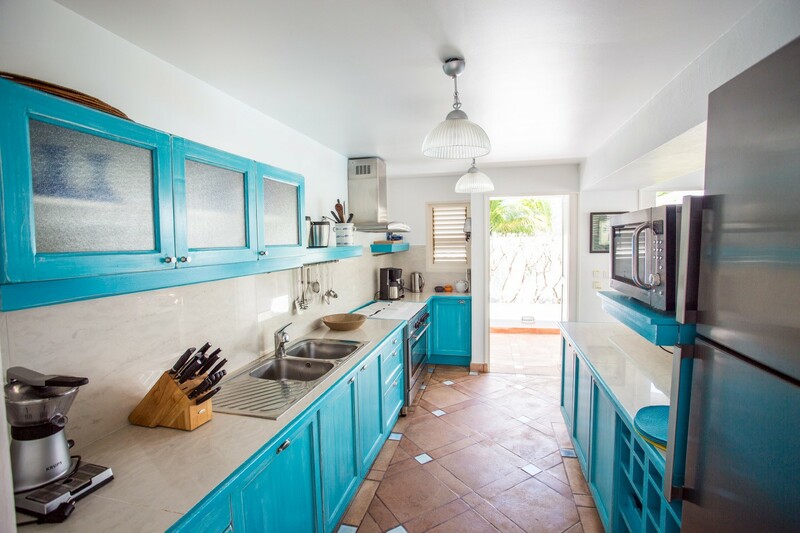 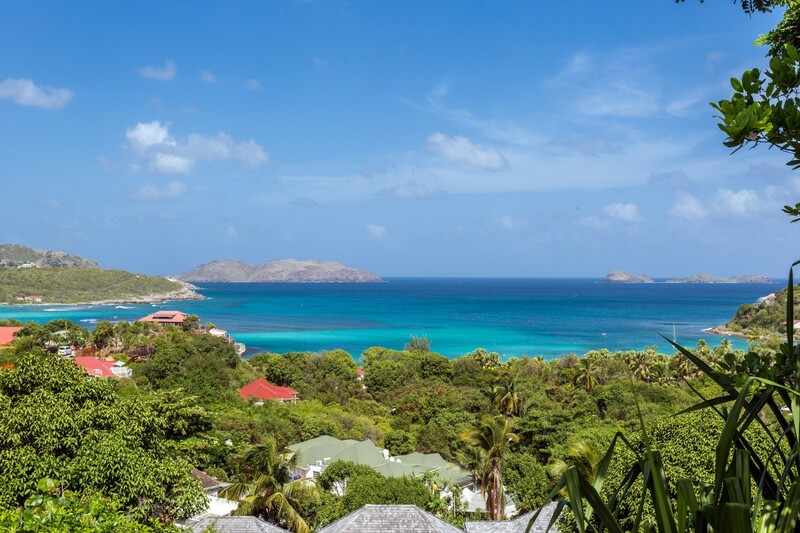 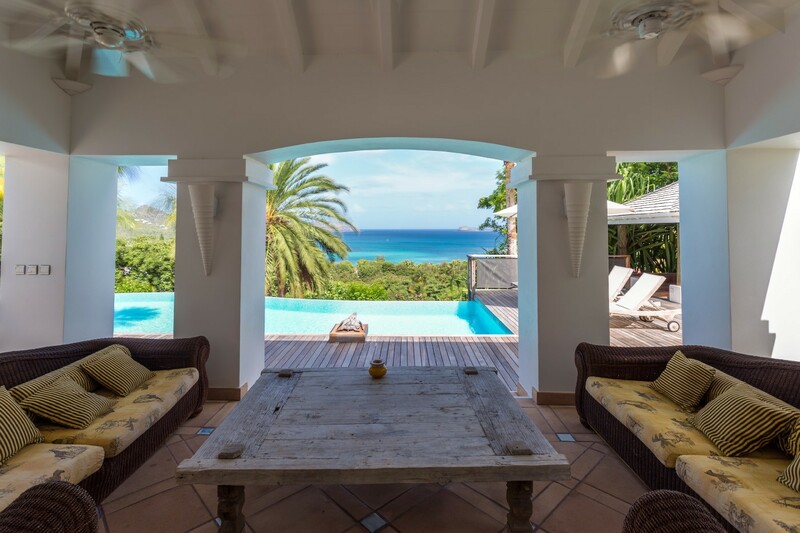 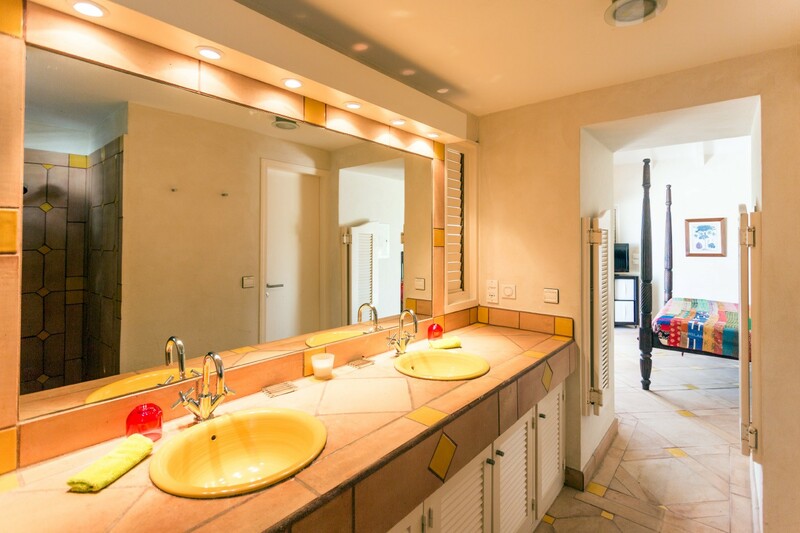 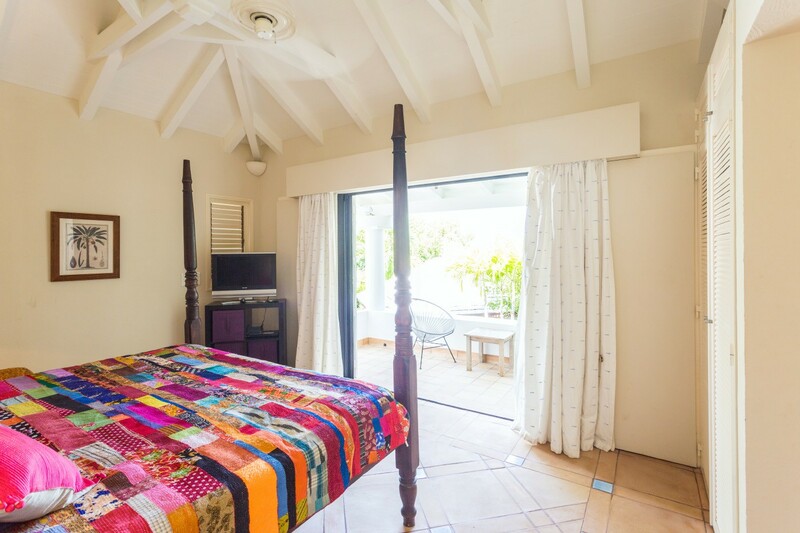 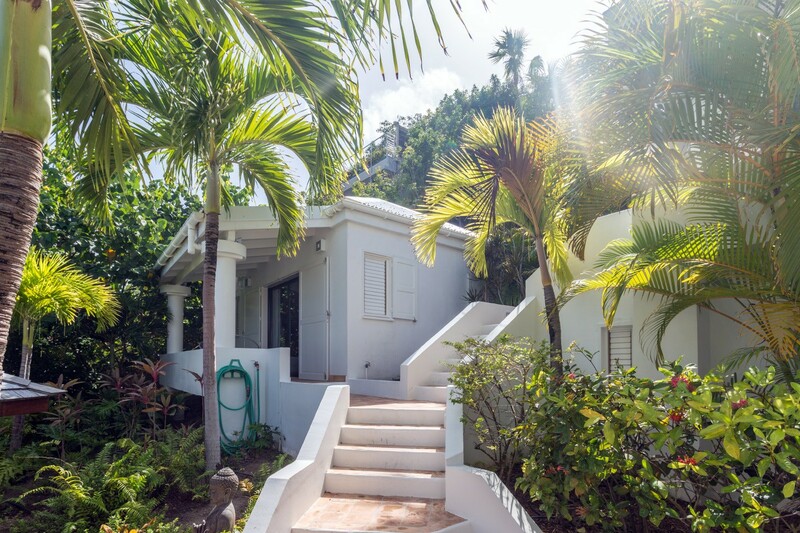 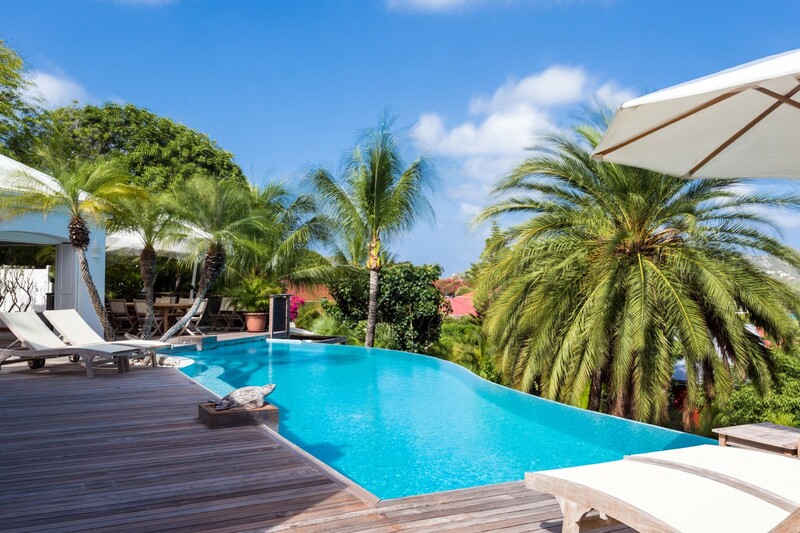 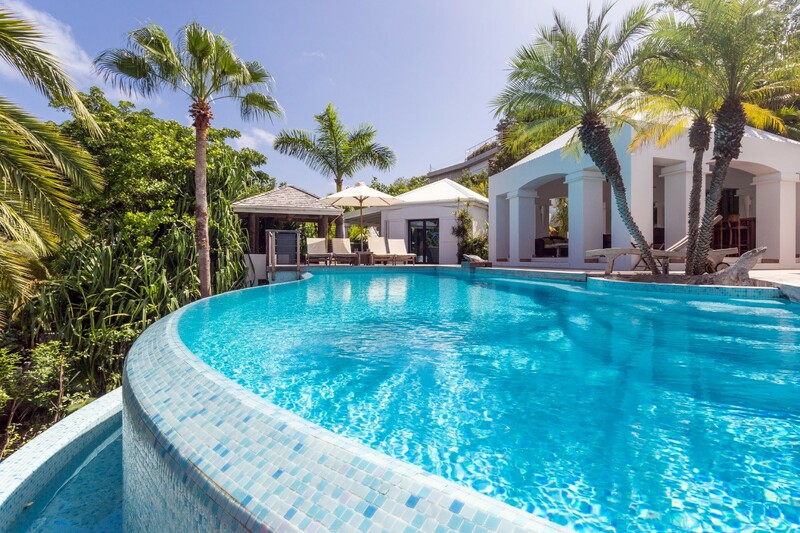 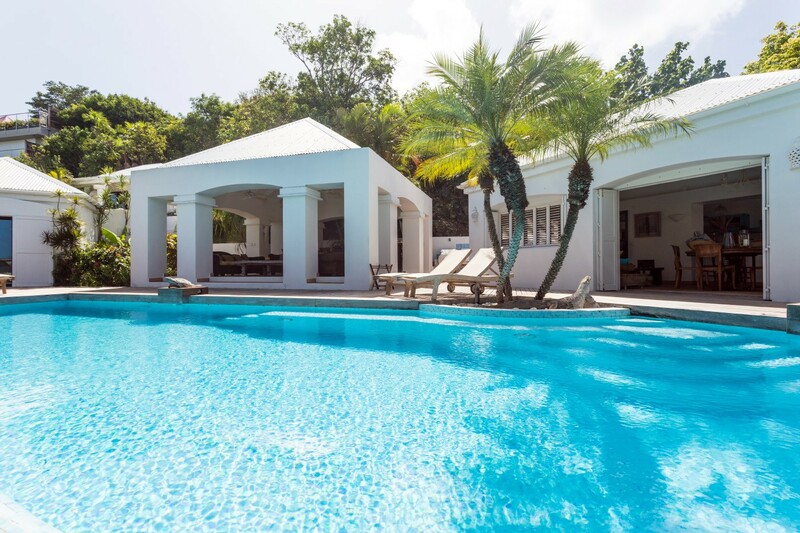 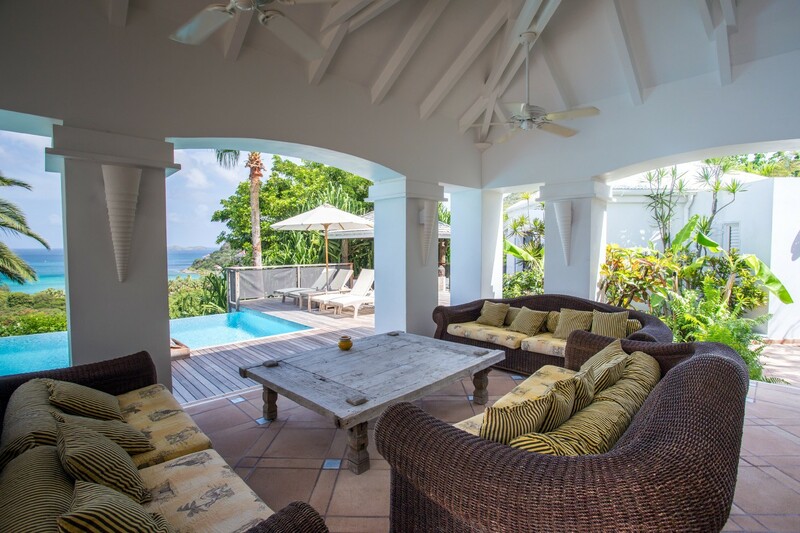 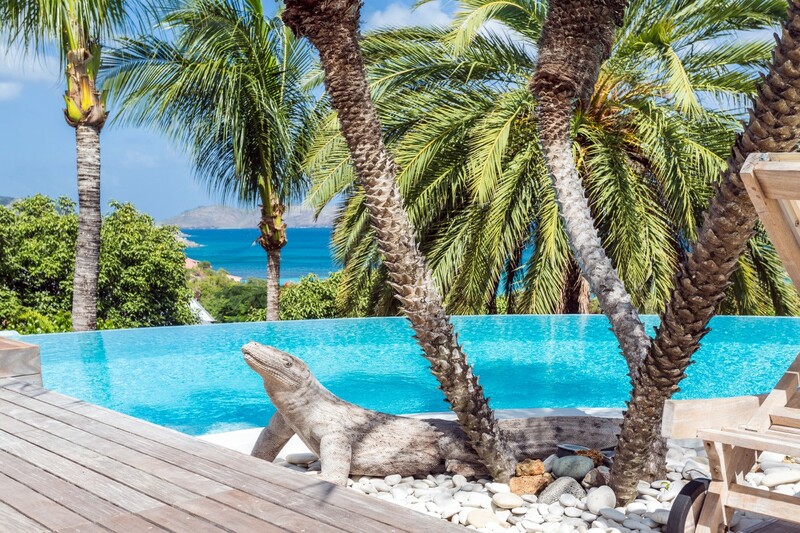 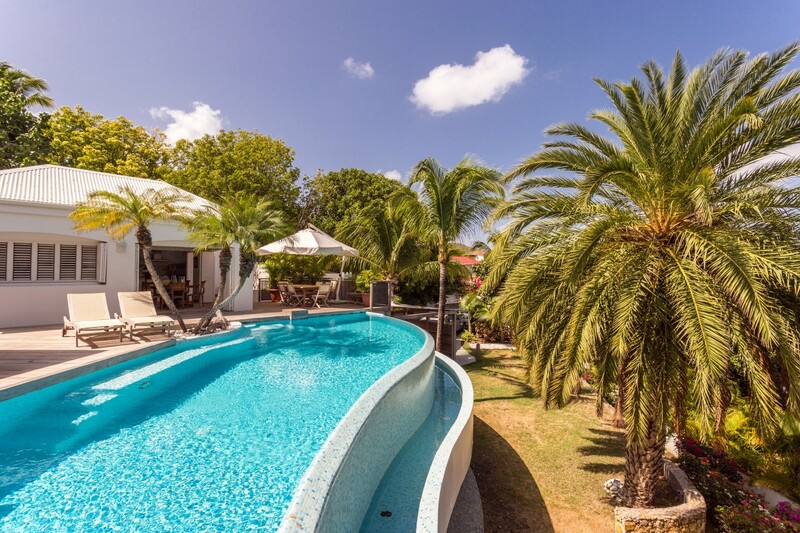 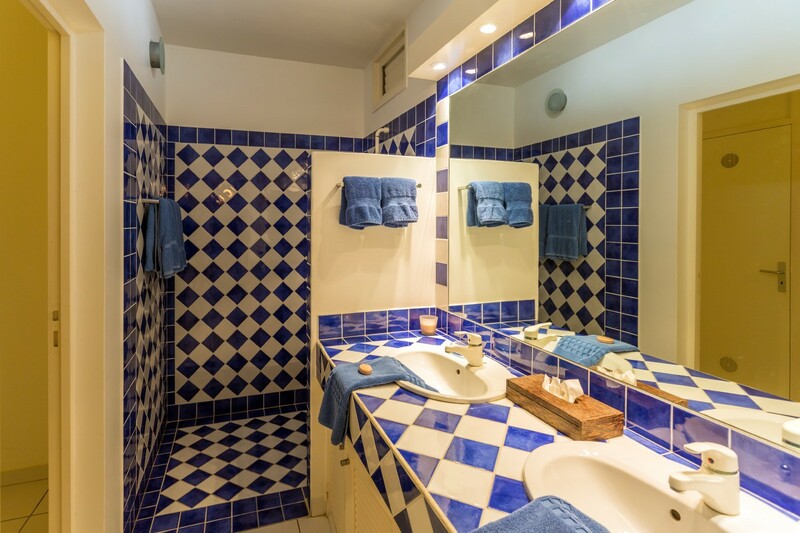 Set just minutes from the famous and lovely Saint Jean Beach on St. Barts, the Villa La Desirade offers a stylish and amenities-rich space for a group holiday or your next family vacation. 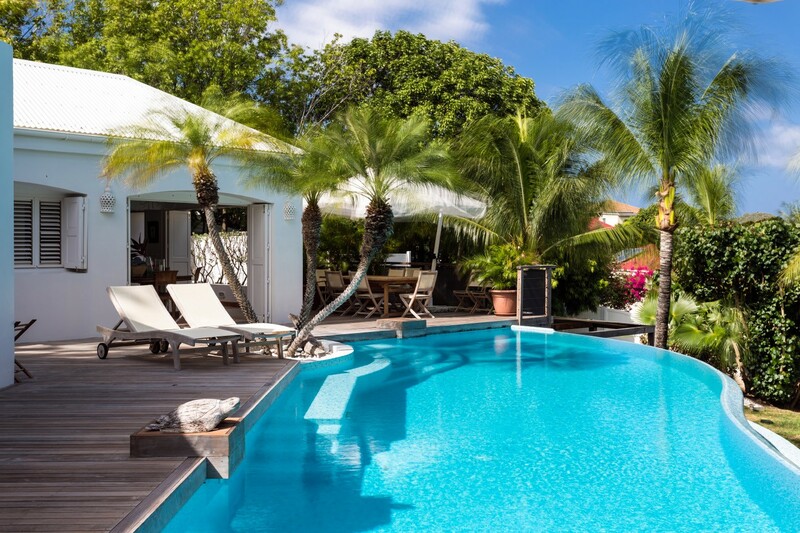 It is a two-story property that is a short walk to Nikki Beach and the many waterfront shops and restaurants, but with its privacy and comforts, you may not wish to leave. 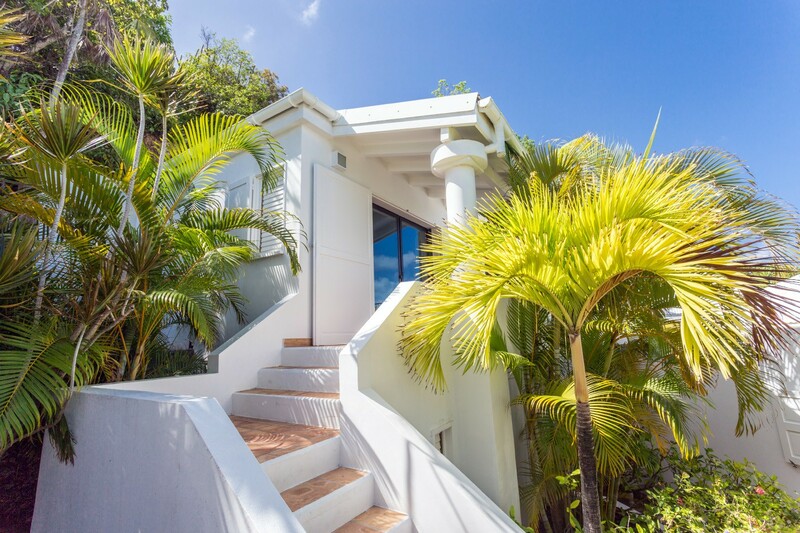 The four-bedroom villa is built as a collection of smaller structures to create an optimal level of privacy. 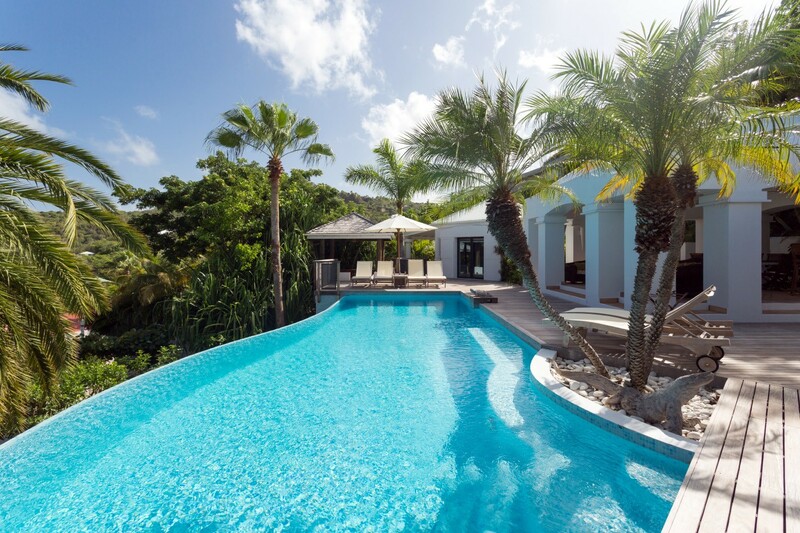 At the heart of the property is the main villa which sits directly adjacent to the large and lovely infinity-edge pool. 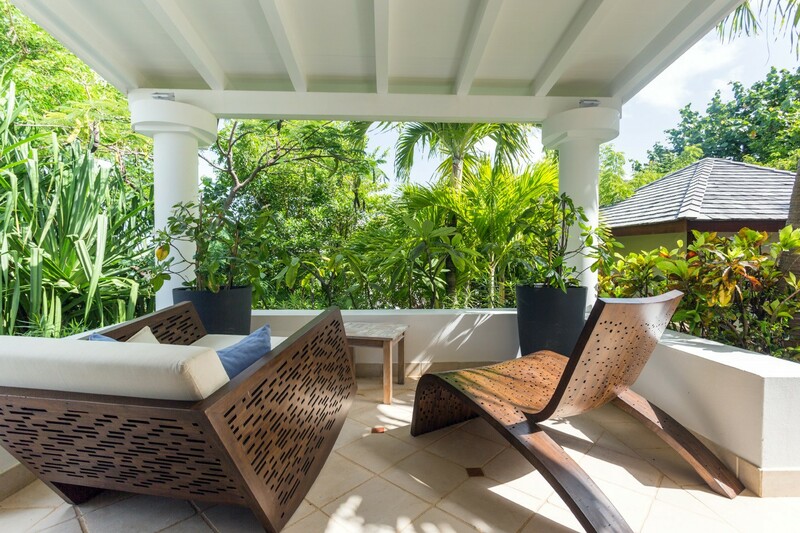 With its graceful curved shape and its lovely falls splashing down to a lower level, it is a visual delight. 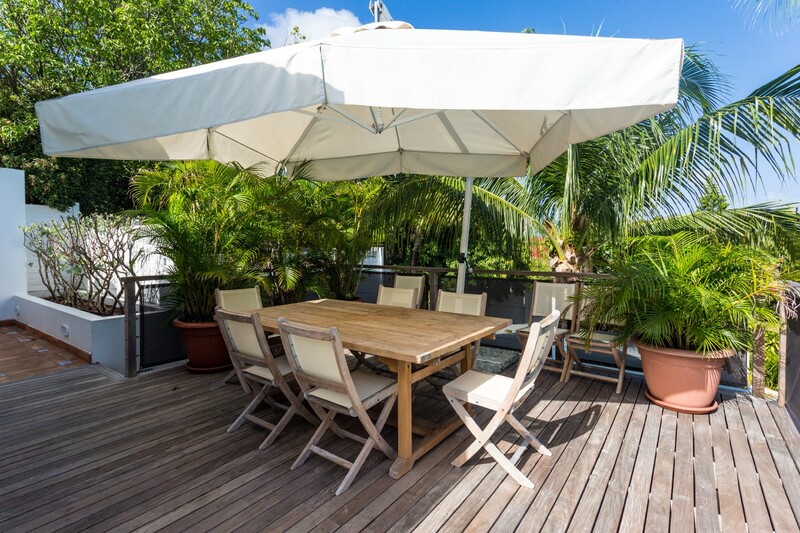 It is framed by the equally appealing terrace with sun beds, al fresco dining areas and lounging spaces. 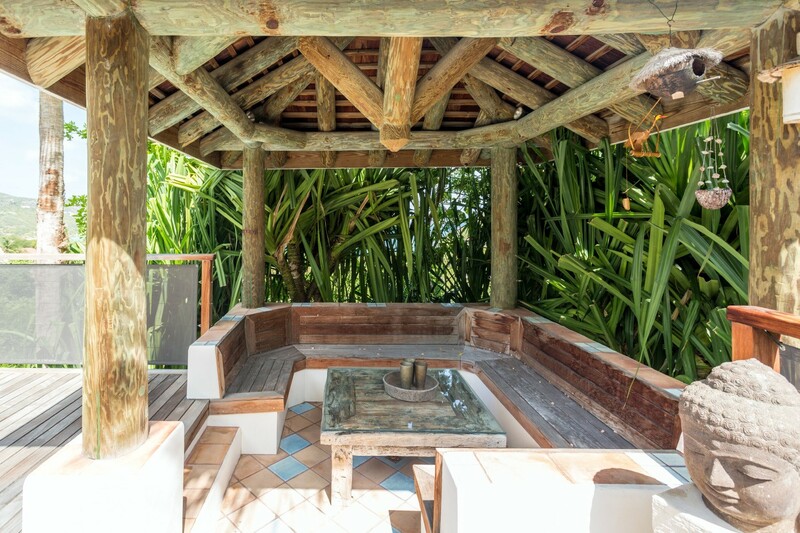 At the far end is the barbecue area and formal, al fresco dining area standing alongside a more casual gazebo. 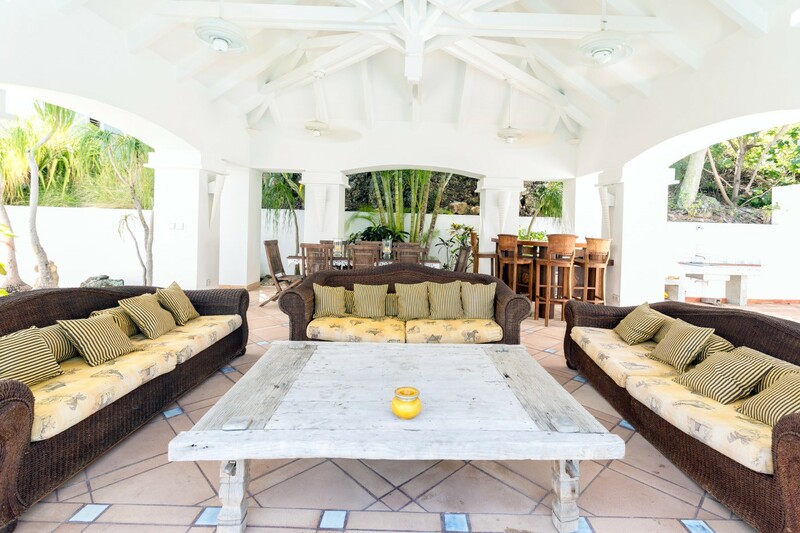 In the center of the terrace is a lounging pavilion, full of island-style rattan and wood furnishings that make it an ideal place for all-hours relaxation. 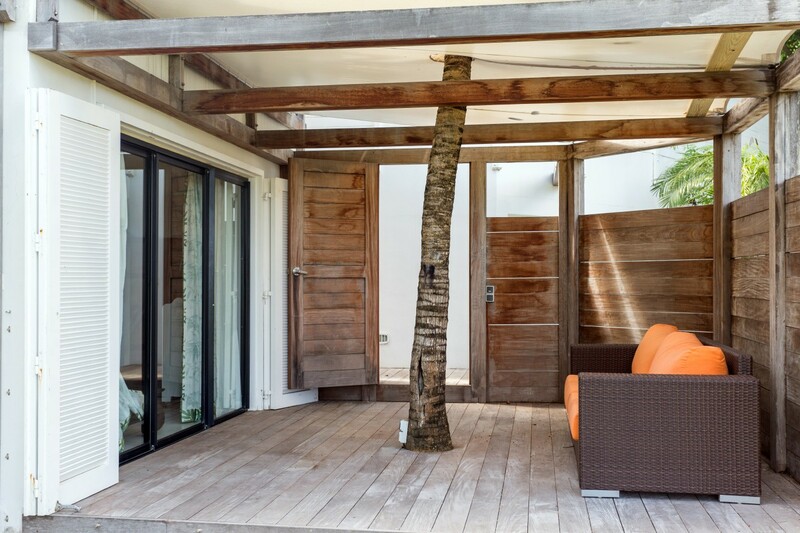 There is a bar and dining area tucked in here too. 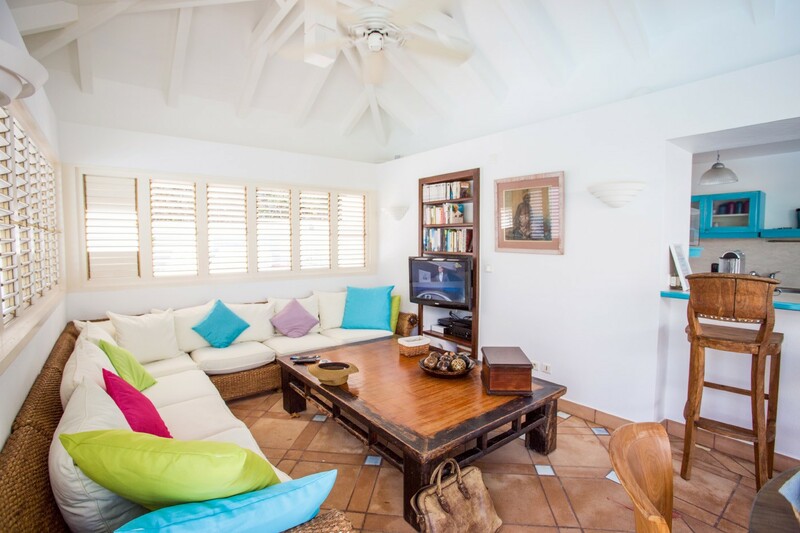 The shared living spaces are at the far end of the terrace and include a great room done in white and with a massive, wicker banquette framing the TV lounge. 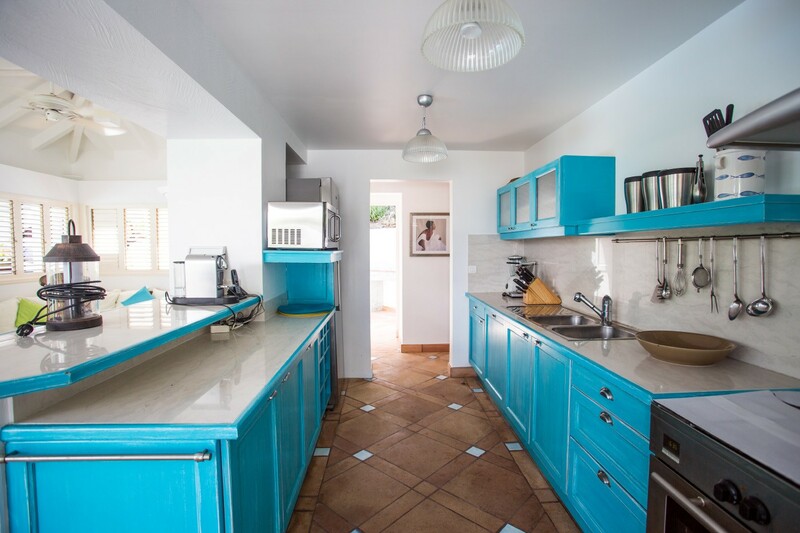 Nearby is a breakfast bar that opens into the super colorful kitchen with its turquoise cabinetry, terra cotta flooring and premium appliances. 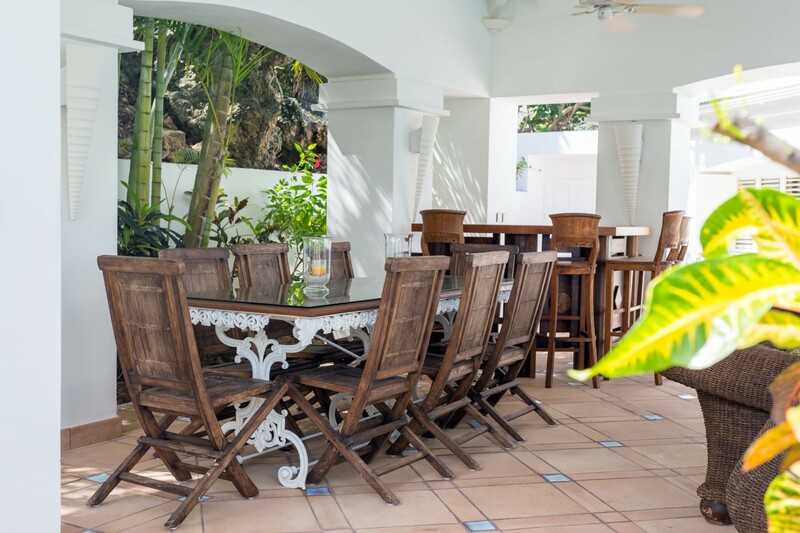 This opens to the front and rear terrace areas to make outdoor dining a breeze. 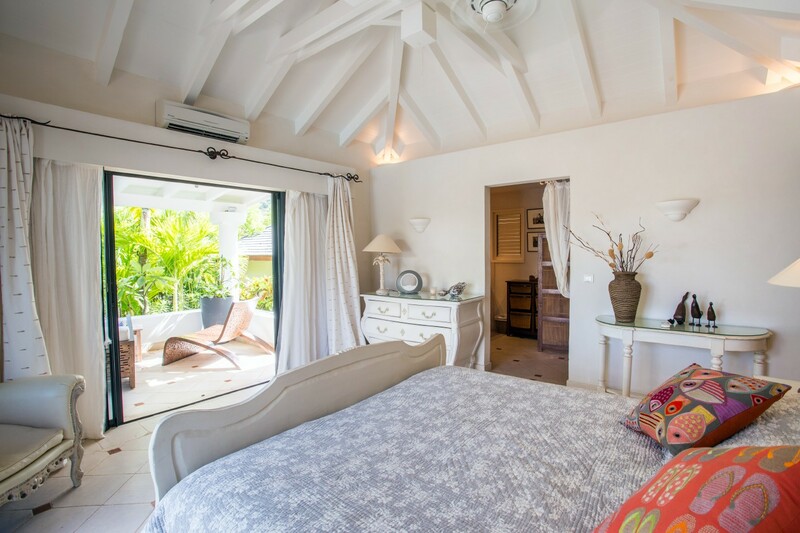 The four bedrooms are beautifully decorated and placed for good views and privacy. 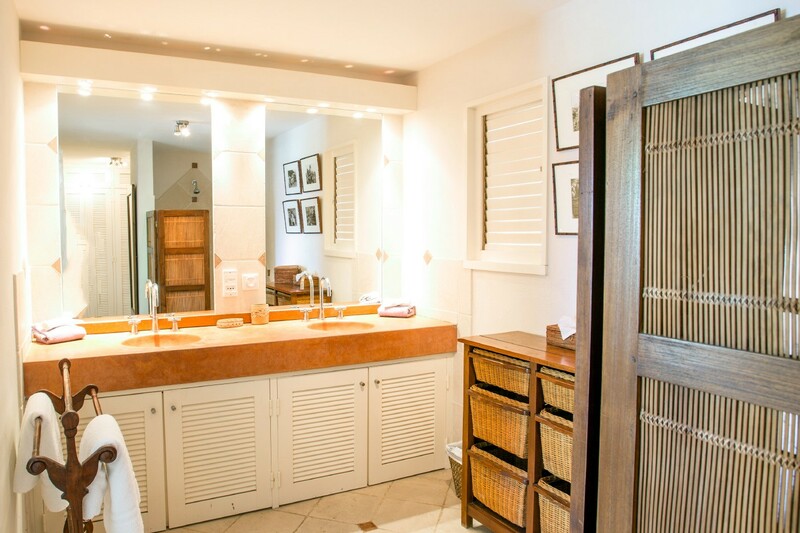 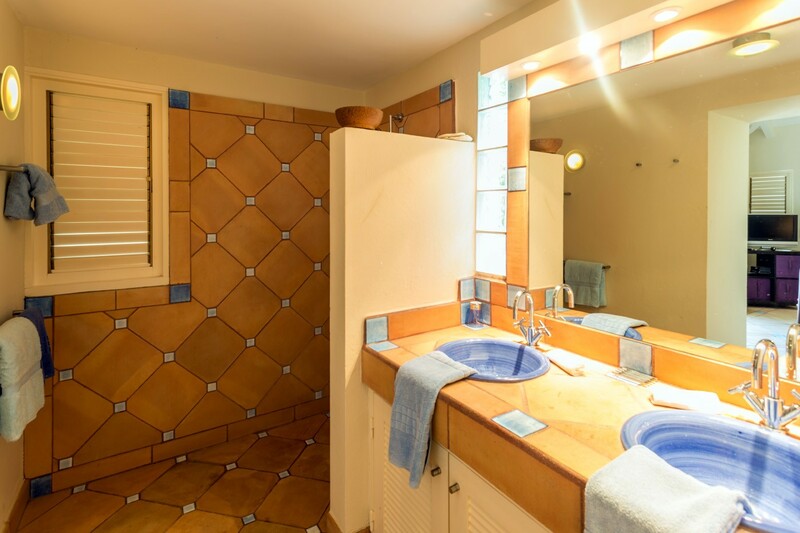 There are two king suites that open out to the terraces and feature large ensuite baths. 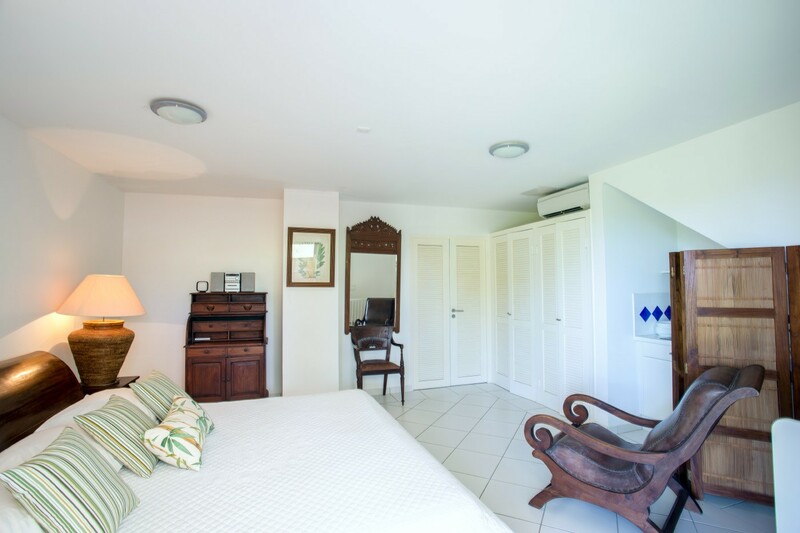 There is a queen suite and a studio tucked beneath the terrace. 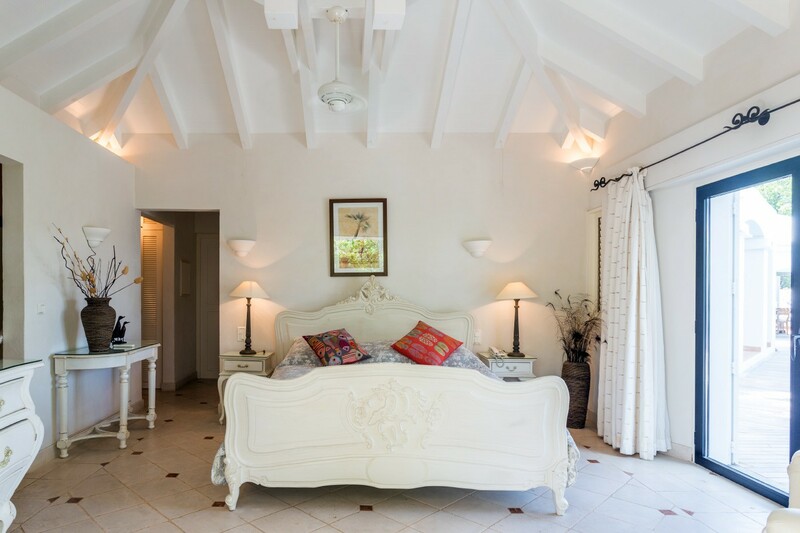 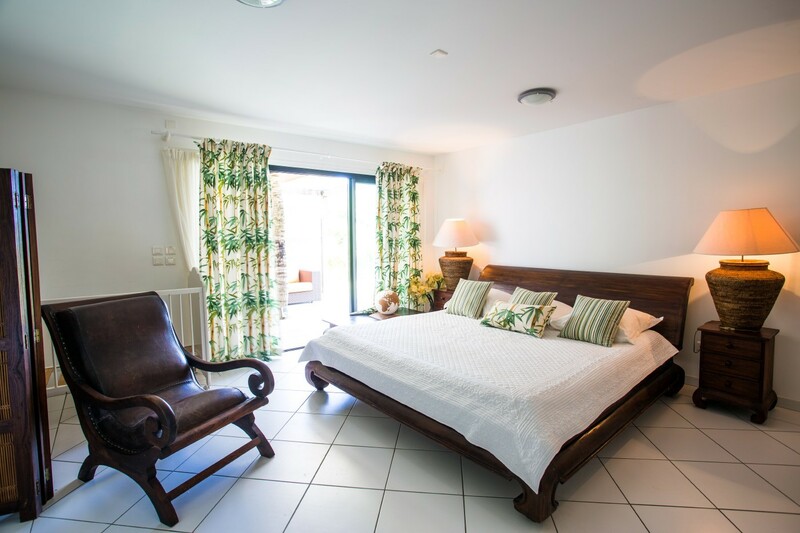 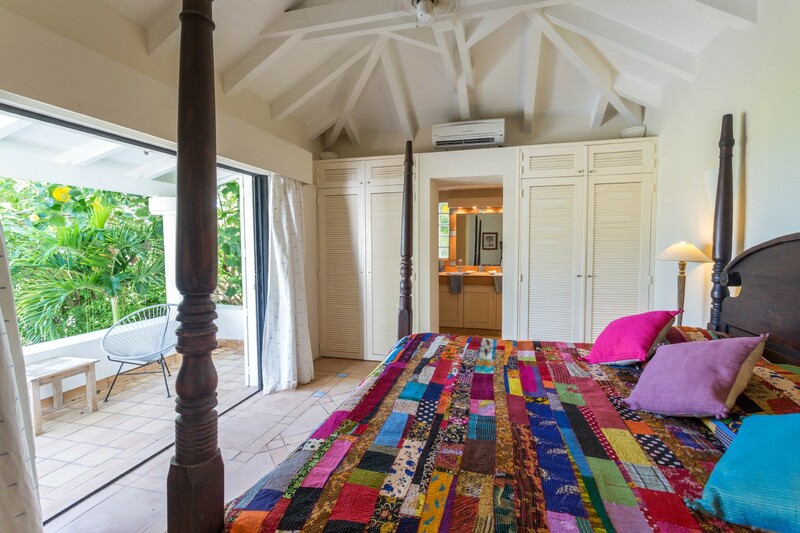 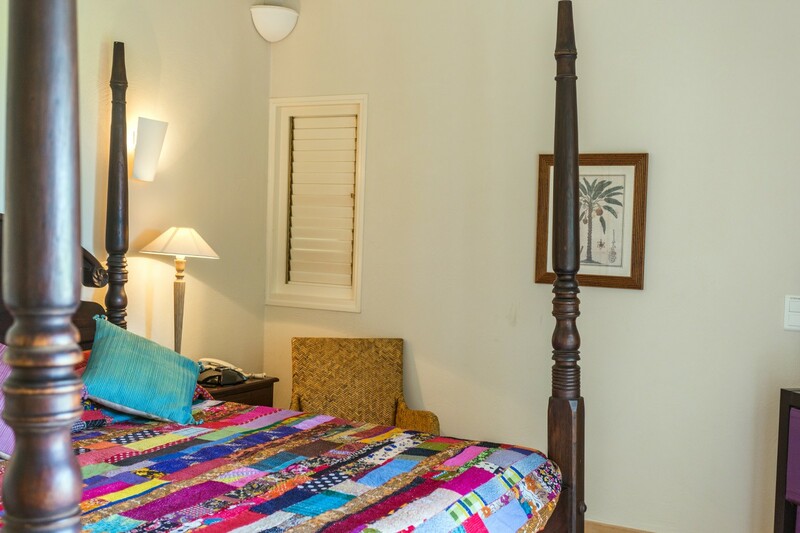 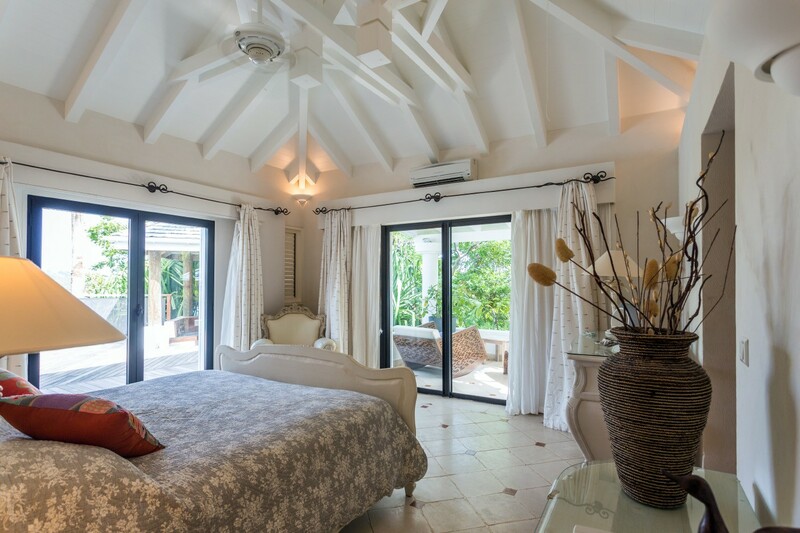 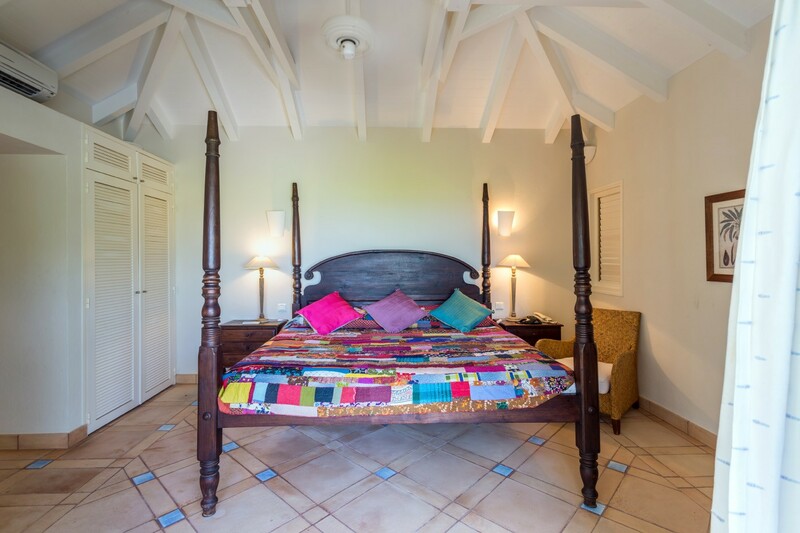 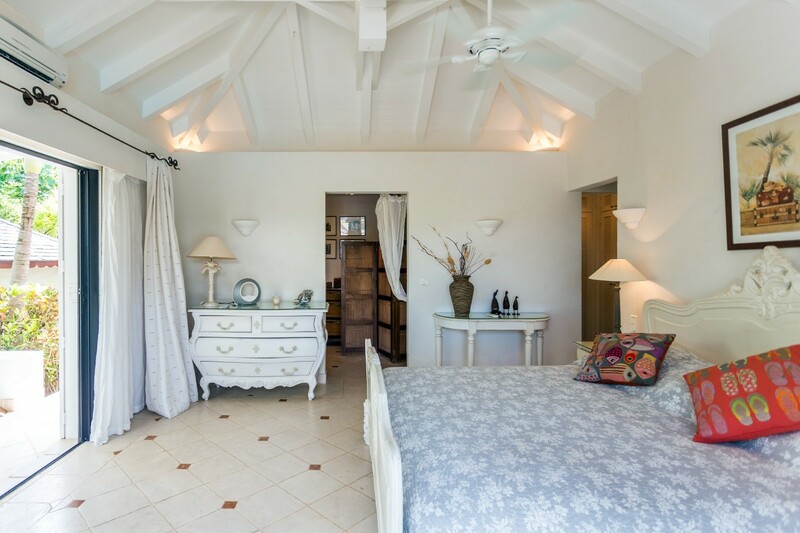 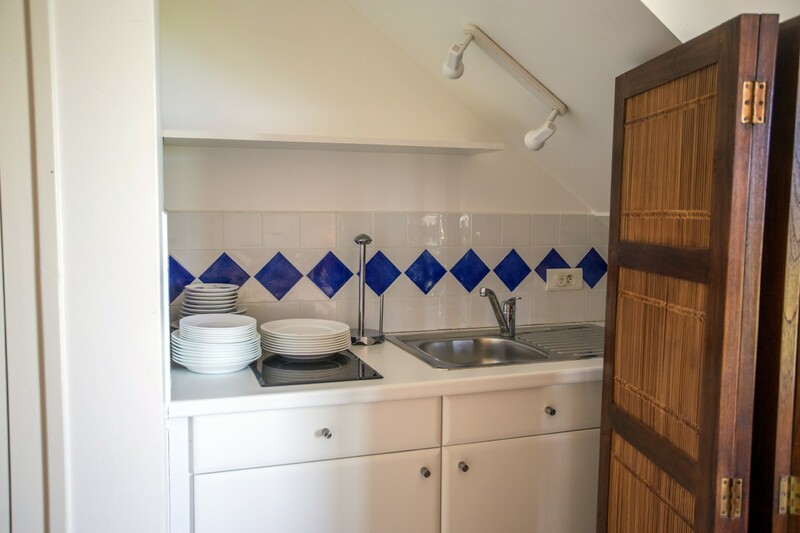 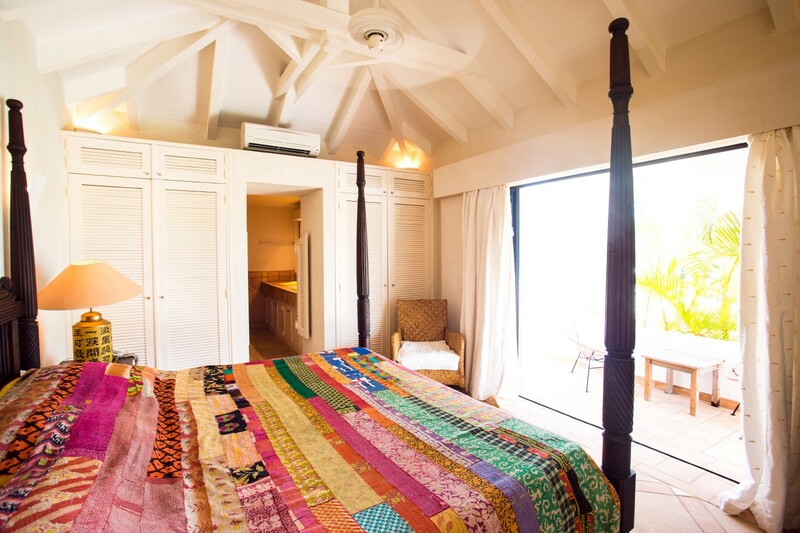 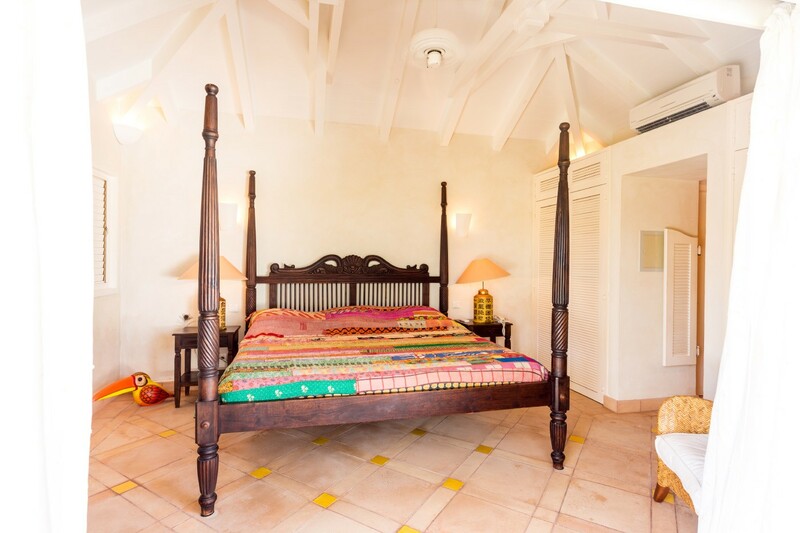 With such an abundance of private and shared spaces, the Villa La Desirade is perfect for your next visit.